Welcome to Sexual Assault Prevention + AlcoholEdu at RU! As part of Reinhardt’s comprehensive approach to alcohol education and sexual violence prevention, it is REQUIRED that all new incoming students (Freshmen, Transfers, Online and Graduate students) complete targeted online wellness and prevention courses. A student’s ability to learn is enhanced when they are a member of a safe and healthy community. Being impacted by behaviors of students who misuse and abuse alcohol or are involved in some form of sexual misconduct can all be significant barriers to academic success. Our goal is to reduce the negative consequences of alcohol misuse and abuse on campus as well as the incidents of unwanted sexual behavior. 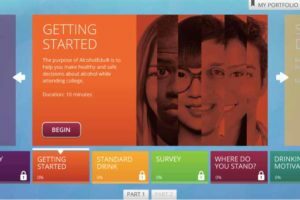 Traditional students (ie main-campus undergraduate and duel/joint enrolled students) will be required to take and complete two courses: AlcoholEdu and Sexual Assault Prevention. Nontraditional students (ie graduate, professional, online, and adult learners) will be required to take and complete one course: Sexual Assault Prevention. To take these courses, you will need a computer with internet access and audio capabilities. If you do not have access to a personal computer, you can use any publicly available computer with internet access. Click the appropriate button below to learn how to take these courses? Please feel free to contact the Division of Student Affairs if you have any questions or concerns regarding Sexual Assault Prevention and AlcoholEdu at orientation@reinhardt.edu.